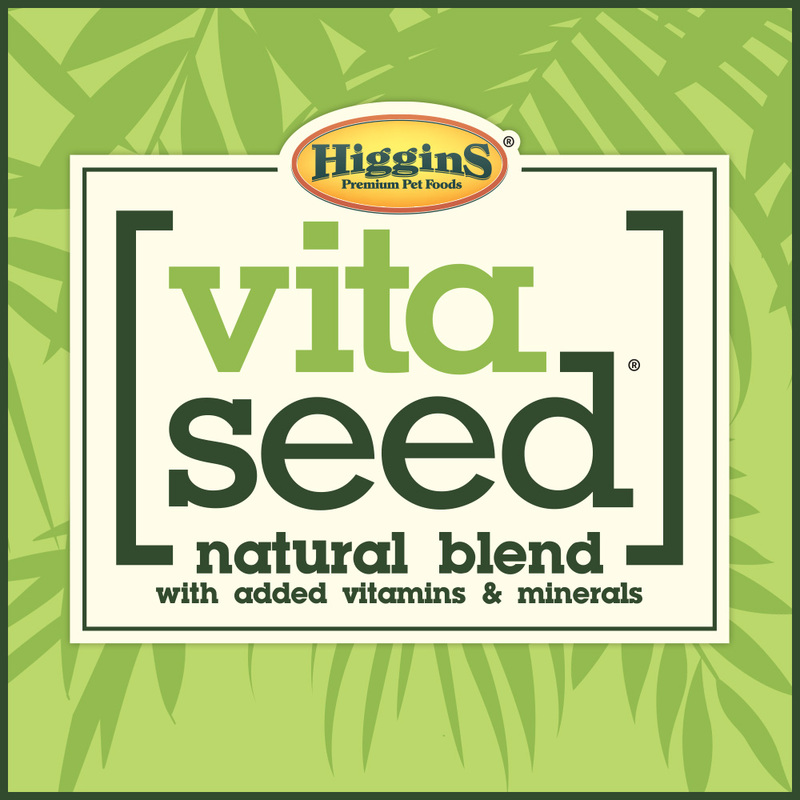 Vita Seed® is our fortified, natural seed blend free of artificial preservatives, flavors and chemical colors your companion bird doesn’t need. Instead, Higgins® uses colors sourced from seeds, spices and vegetables. Higgins® adds protected probiotics and plant-based DHA omega-3 fatty acids that are stabilized to support your pet’s immunity and overall health. Vita Seed® California Blend for Parrots is a fortified, natural, safflower seed-based blend that does not contain sunflower seeds, peanuts or sulfites. Mayan Harvest® Natural Holistic Blends carefully balance a variety of exotic, natural ingredients and holistic herbs in a diet that is free of synthesized vitamins, artificial colors, artificial preservatives and sulfites. Mayan Harvest® blends are rich in plant-based DHA omega-3 and protected probiotics to support the immune system. Safflower Gold® is our gourmet, natural safflower seed blend available for Parrots and Conures/Cockatiels. Safflower Gold® does not contain sunflower seeds, artificial colors or preservatives. Safflower Gold® is also fortified and enriched with plant-based DHA omega-3 fatty acids and protected probiotics to support immunity. The inTune® family of bird food products consists of extruded, complete and balanced diets formulated without the use of artificial flavors or preservatives. inTune® uses natural aroma and colors sourced from seeds, spices and vegetables. inTune® products also contain protected probiotics and balanced DHA omega-3 and 6 fatty acids to support immunity. Available for Macaws, Parrots, Conures/Cockatiels, Parakeets, Lorikeets and as hand feeding formula for all baby birds. Science and nature in tune with your bird’s well being! Australian for all parrots is a safflower based, fortified seed mix that is free of artificial colors and preservatives. This is our most economical seed blend designed for bird breeders. Explore Our Entire Line Of Treats & Supplements For Birds.